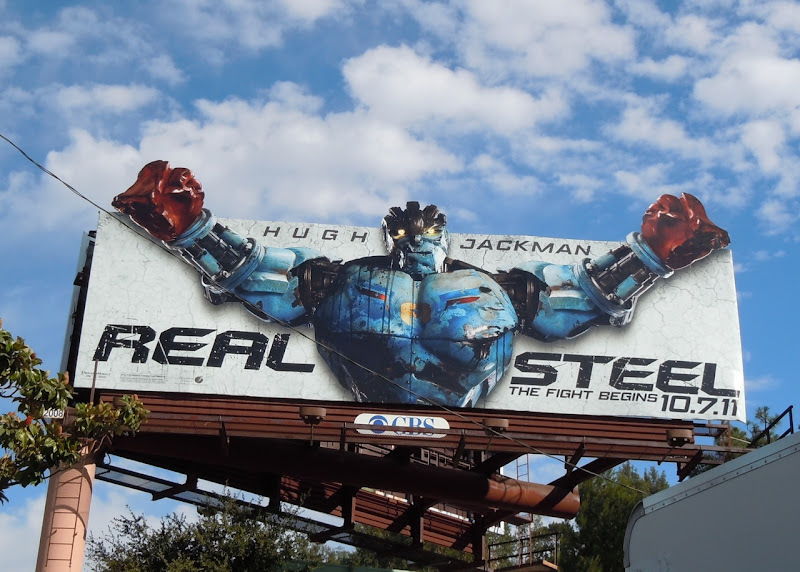 Real Steel stars Hugh 'Wolverine' Jackman, has giant Transformer like robots and is about fighting, so you can imagine this movie is going to be a smash with teenage boys the world over. 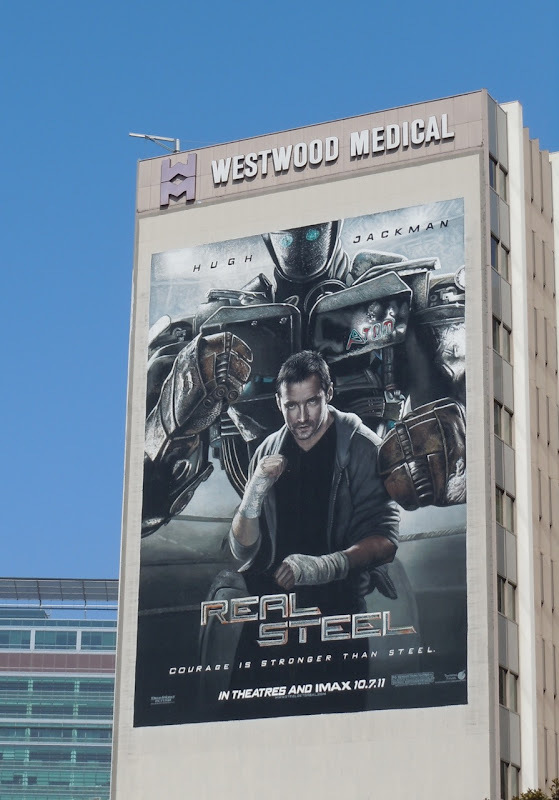 The fun ad campaign introduces some of the robots from the World Robot Boxing League, like this colourful billboard of 'Ambush' and similar version of 'Atom'. 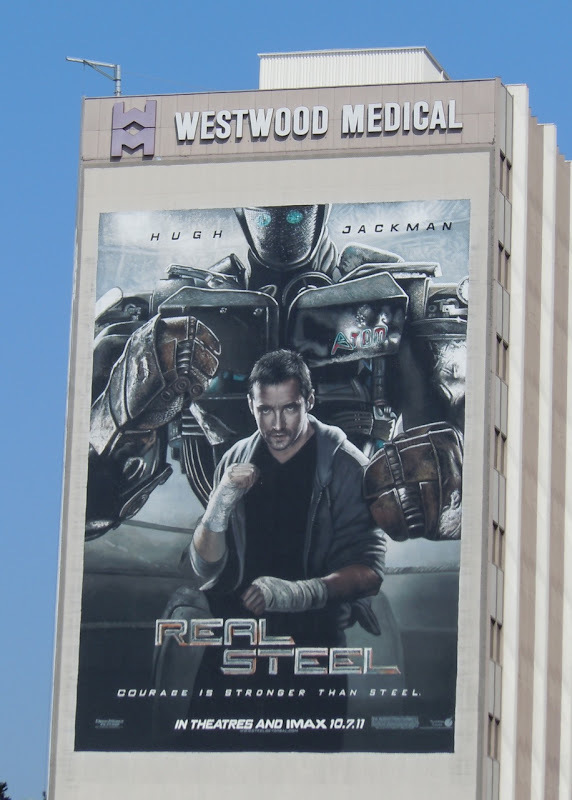 There's also a giant billboard along Wilshire Boulevard which showcases Hugh Jackman as the boxing coach of the heroic Atom, just so you know there's some humans in the movie too. 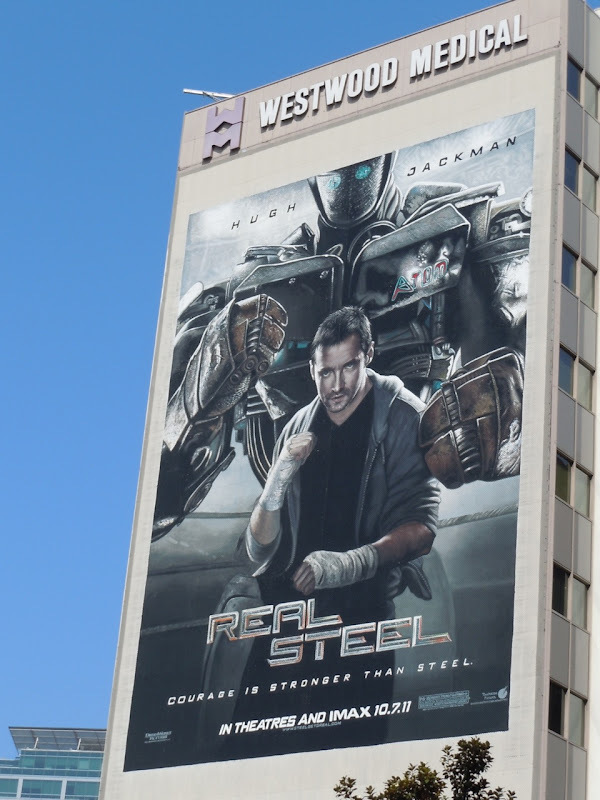 Let's hope the movie isn't just CGI flash and that Real Steel packs a punch in terms of story and characterisation to go with the action. 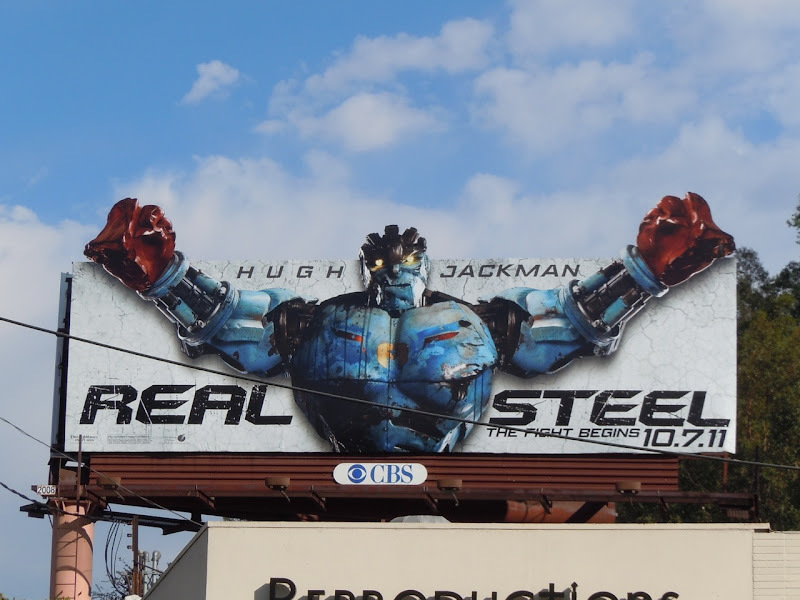 Be sure to check out these original costumes and props from Real Steel on display. 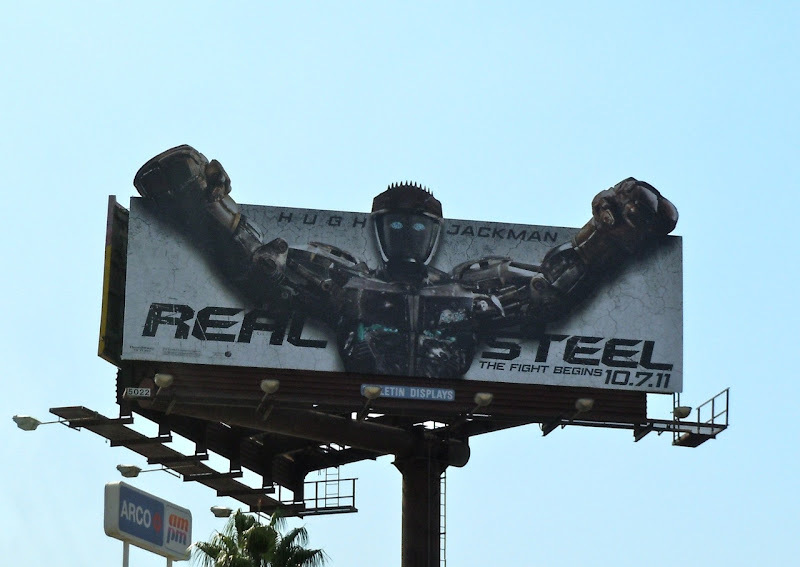 The standard size Ambush robot billboard was photographed in Studio City on September 21, and the Atom robot billboard quickly captured along the I-5 Freeway on September 29, 2011.